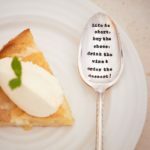 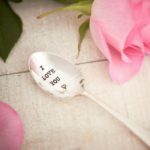 A vintage silver plated dessert spoon lovingly hand stamped with ‘Best daddy in the world’. 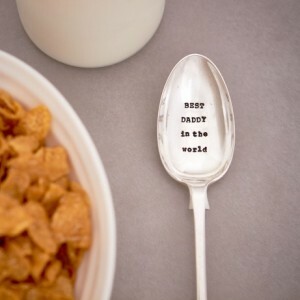 Everyones daddy is the best so why not tell him with this fab spoon stamped just for him. 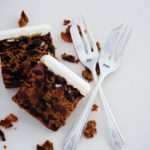 A perfect spoon for Fathers Day, dads birthday or just because which has been designed for best daddy in the world to eat his breakfast with!